“Honey stop the car! Look at that beautiful new paint job! And it goes so good in this neighborhood.” That is what you will find yourself saying when you drive past this home in Seminole. In the front you have ample parking as there is a driveway on each side with an arched drive connecting them. When you step inside there is a room to the right which would be fantastic for use as a home office, a craft room, family room, or a play room. To the left in the entry is the dining room and through there is the kitchen which makes mealtime a cinch. In the kitchen you will find tons of cabinets giving you plenty of storage & generous amount of granite counters for prepping your favorite dishes. You will love that there is a new stainless steel range, microwave & dishwasher. Off the kitchen is a hall which leads to the garage on the left, downstairs bathroom, and to the right a very large living/family room. This room has more than enough space for hosting game nights and get togethers-so all that extra parking will definitely come in handy. Upstairs houses the master bedroom with en suite and the two guest bedrooms and bathroom. Both upstairs bathrooms are brand new and gorgeous! 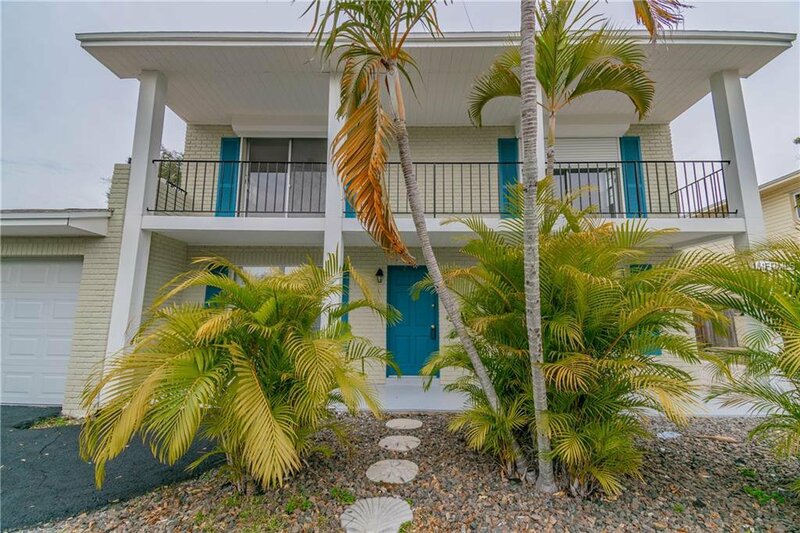 Let’s talk location-you are only five minutes from the pristine Gulf Beaches and the Park Blvd Boat Ramp. The home is just approximately two miles away from Seminole City Center which offers a slew of shopping & dining options. Don’t miss the opportunity as it won't last! Buyers to verify all facts pertinent to their purchase decision. Listing courtesy of RESULTS REAL ESTATE INC. Selling Office: CHARLES RUTENBERG REALTY INC.